More single-family homes will be constructed in 2017, but at a gradual rate, reported economists at the recent National Association of Home Builders (NAHB) International Builders’ Show. 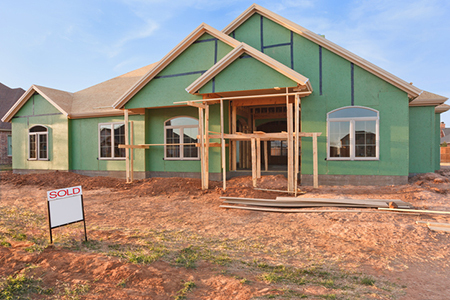 The NAHB expects single-family construction to rise 10 percent to 855,000 units, and to 12 percent to 961,000 in 2018. Sixty-four percent of home builders, according to NAHB Chief Economist Robert Dietz, are seeing “low” or “very low” lot supplies. Townhouse construction, Dietz said, is growing and viable, especially for first-time homebuyers, comprising 12 percent of starts. On the topic of homeownership, economists at the show expected mortgage rates to average 4.5 percent in the year ahead, and 5.3 percent in 2018. “We anticipate a stronger economy will translate into higher mortgage rates,” said CoreLogic Chief Economist Dr. Frank Nothaft. “Meanwhile, we expect moderation in 2017 for rent and home price growth, but it will still be higher than inflation, reflecting the tight inventory in the housing market.